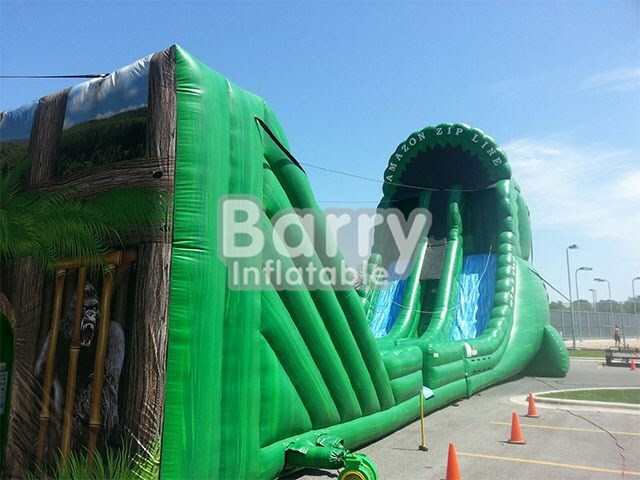 Inflatable Sports - zip line - Crazy Inflatable Games For Adult,Inflatable Interactive Adult Game,Large Inflatable Zip Line BY-IS-007 - Guangzhou Barry Industrial Co., Ltd. 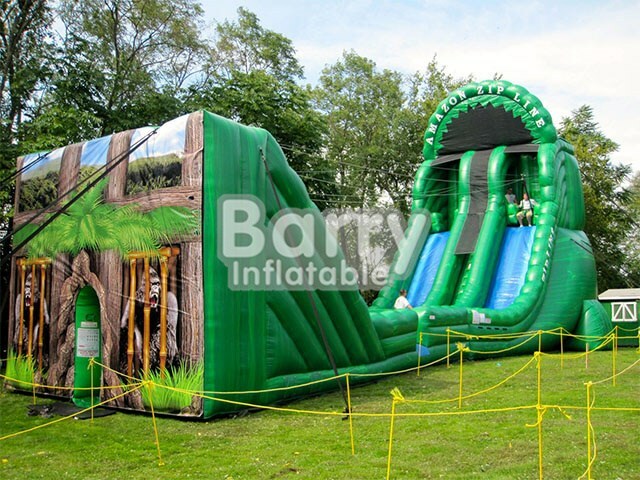 Mobile Zip Line is FUN for all age groups young and young at heart! 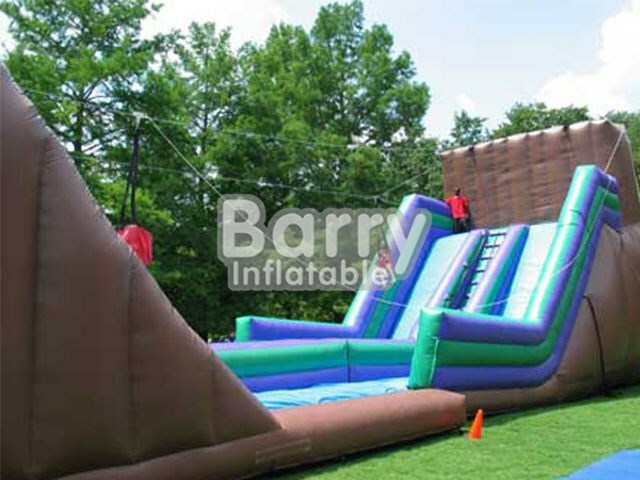 Just meet the weight and height requirement and your participants will be soaring across your site in no time! Two participants can ride at once, which means shorter lines and possible money making opportunities for you or your organization! (ask us how!). 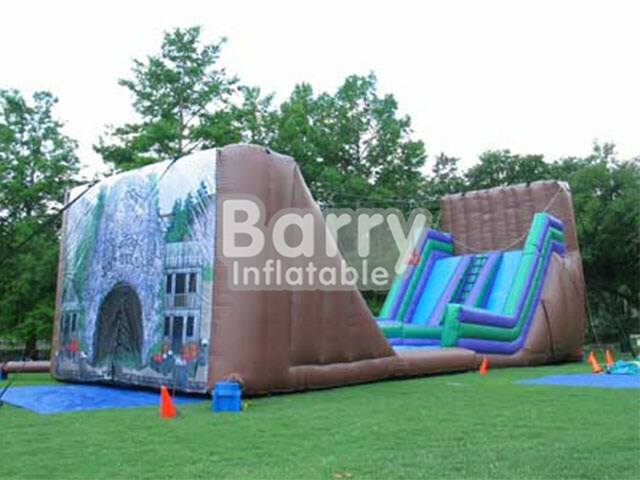 Our Mobile Zip Line really makes a statement and will be a great focal point at your special event! Safety is our number one goal and with this modern design and impeccable engineering, the Mobile Zip Line has amazing control! You can send up to 100 people down the Zip Line in one hour! The Mobile Zip Line is the hottest new attraction around the country and is featured across the US. You get to see and hear grown adults scream like they are kids again! 2. Complete functions, easy to take. 3. Body safety, healthy and environmental protection. 4. Short time to inflate and deflate.